On Animation, Drawing, Illustration, Cartoons and anything related. There was a Golden age for everything. The early twentieth century was the golden age of various things. Aviation, Science, and among other things the golden age of newspaper comic strips. For several decades beginning the 30s various strips came into existence, and had a wonderful run, with readership running into the millions. The great art work of masters such as Alex Raymond, Ray Moore, Wilson McCoy, Sy Barry, Dan Barry, Phil Davis, Leonard Starr, Milton Caniff, Gene Byrnes, Hal Foster entertained newspaper readers all over the world. Some of the stories that came from their pens and brushes were The Phantom, Mandrake the Magician, Steve Canyon, On Stage, Reglar Fellers, Prince Valiant to name a few. The Golden era slowly got forgotten and gave way to other forms of entertainment. Though he American public had largely forgotten this era, these strips were extremely popular around the world, with reprints in the form of collections, coming up from various publishers. A few years back, when I finally got time to get back in touch with these beautiful stories and artwork, and was disappointed with the absence of popularity in the United States, I discovered a wonderful source for these golden era reprints. It is Tony Raiola's Pacific Comics Club. The online store has a treasure chest of the golden age goodies. 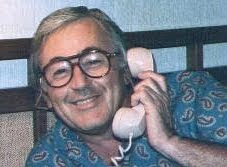 Tony is a passionate comic strip fan/collector/publisher who has been running this since the 60s in France, Italy and later in the United States. Several popular strips have been published by Pacific Comics in wonderful format, very carefully reproduced, highlighting the clear artwork of the masters. They also carry similar reprints of hard to find strips from other publishers. I asked Tony for his thoughts and he opines..."American newspaper strips were more popular in Europe than here in the States , just like western movies. What happened is that European made compilations and books from the strips, instead the American had a few reprints in Famous Funnies, etc. 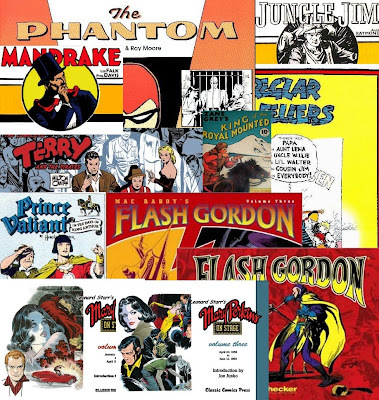 In Europe Flash Gordon ,the Phantom , Mandrake were very popular .The fact is that after the '50s the American concentrated their efforts on comic book business forgetting the strips and creating superheroes." I agree with him and made me think about the huge popularity of Phantom, Mandrake, Flash Gordon and the likes in India. Where there was a large fan base and Indarjal Comics had a fantastic run. I wish Tony the best and continue to offer several of the long forgotten Golden era comic strip master pieces. I am an Information Technology Consultant living in Chennai, curious and passionate about several things. My craving for knowing and understanding things has led me from one small thing to the other and eventually to the Ultimate truth. With the new world view, I keep enjoying learning new things at its own leisurely pace and share here my thoughts as I encounter the events.